No one will expect that in the future Princess Alexandra will be invited for the grand New Year court at Amalienborg Palace each year on January 1, and she will have fewer opportunities to go to the exclusive dinners held when there are official visits from abroad. Chief of Court Ove Ullerup has made that clear in the week after the news about Princess Alexandra’s new marriage emerged. “It will naturally have consequences that Princess Alexandra no longer is a member of the royal house. On the official as well as on the formal level we will see her much less,” says the chief of court. He has for a long time been involved in the considerable planning needed in connection with the Princess’ new marriage. 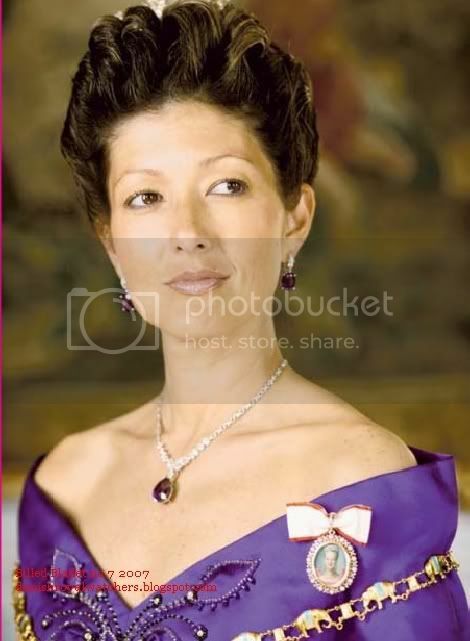 Princess Alexandra left the Danish royal family on 8 April 2005, when the divorce from Joachim was affirmed and in 16 days [now 9 days] she is no longer member of the royal house either. It a situation Alexandra has herself wished for, but it will have consequences for her which will be felt. One of the more important days in the royal year is the New Year court which Queen Margrethe and Prince Henrik have the day after New Years Eve. Here the government is invited along with the top officials of Denmark. Princess Alexandra has attended every single year since she came to Denmark, at Prince Joachim side until 2005 and in the last two years as a guest. That’s over now. Some of the largest parties at Christiansborg Palace are held when foreign heads of state pay official visits to Denmark. That will happen the next time on 9 - 11 May, when the Swedish reigning couple and Crown Princess Victoria pay a visit. Neither at the state dinner, held by the Queen or at the return dinner held by the Swedish King, shall we expect to see Alexandra. That would be way too awkward, as Alexandra hardly can be invited without her husband, and the Queen probably has no desire to invite Martin Jørgensen to one of the grandest dinners she will have this year. Even though the new situation is notable for what is happening among the adults, everyone wishes that Prince Nikolai and Prince Felix will be affected as little as possible by the new changes in their lives. “There will be no change in regard to the children.” confirmed the Chief of Court, Ove Ullerup. The children will however probably notice that their mother no longer attends private birthdays in the Danish royal family. Princess Alexandra has so far been invited for several annual important days, but that will hardly be the case in the future. If the children for instance are invited to their grandmother’s birthday (meaning the Queen), it will only be with their father and not their mother. No etiquette demands that the two Princes bring both their mother as well as their father along. Luckily the first big occasion where both Alexandra and Prince Joachim ought to be present is five to six years in the future when Prince Nikolai will be confirmed. Both Prince Joachim and his mother will naturally attend, the Regent Couple will no doubt attend the confirmation of their oldest grandchild. If a lunch is held afterwards Alexandra's house at Svanemøllevej, it is most likely that Margrethe and Henrik will decline, but if Prince Joachim invites the guests to his apartment at Amalienborg, then everyone – including Martin Jørgensen – can attend. In that case, it would be Martin's first official visit to Amalienborg. He was present when Prince Joachim held a New Year party at the palace less than two months ago, but that was not an official party. However, in the end only one person decides, and that’s the Queen. Everyone knows that. 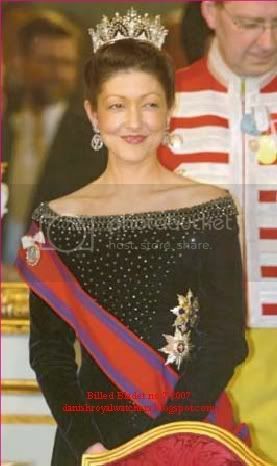 So far she has not wished to comment on Princess Alexandra’s new marriage and neither has Prince Henrik. “I won't say anything about Princess Alexandra,” replies the Prince Consort when asked. * The protocol at the DRF regarding ceremony such as who sits where, tradition and ritual, who is greeted in what order and so on, is very strict! The reason according to Queen Margrethe is that no one is considered to be a favourite and no one can feel snubbed when everyone is treated strictly according to protocol. 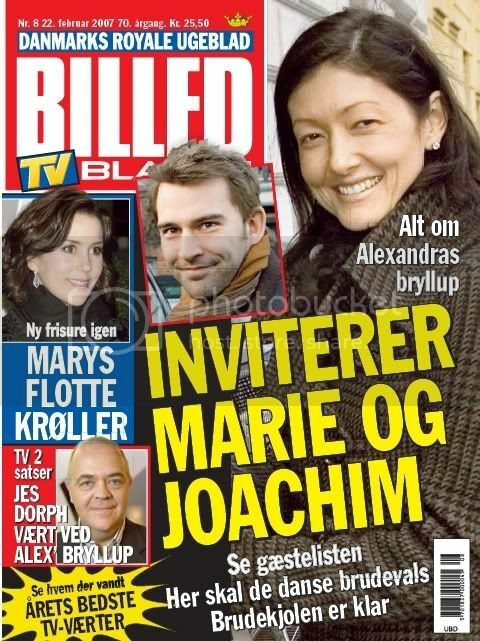 * A note in Billed Bladet also states that Princess Alexandra will keep her diplomatic passport. She will not be issued a “common” passport. The reason for that is that Princes Nikolai and Felix both have diplomatic passports and it would be impractical and odd if their mother didn’t have one. * Since the divorce Princess Alexandra has also been issued with the health-insurance-card issued to everyone living or working in Denmark. The DRF have their own appointed doctors. * Alexandra will also receive the child allowance from the state for Nikolai and Felix, just like any other Danish residents. That will amount to about 5.700 DKK every three months. On top of that comes the maintenance payment from Joachim and the appanage from the state, which to some extent can also be considered child maintenance payment. A manor worthy of a true princess will be the backdrop for Princess Alexandra’s wedding on March 3 to Martin Jørgensen. The couple have chosen Jomfruens Egede near Fakse for the wedding party. A few metres away is the idyllic Øster Egede Kirke, where Alexandra and Martin are to be married, so the bridal couple and about 120 guests will not have far to go to the party. The wedding preparations have been going on for some time and Martin and Alexandra have long since visited Jomfruens Egede and approved the whole arrangement. Niels Peter Schack-Eyber oversees the manor and is a good acquaintance of the bridal couple to be and, on top of that, he is an excellent cook. He has therefore put together an exquisite wedding menu which the bridal couple to be has already test-eaten and approved. Jomfruens Egede, which in the past years has been transformed into a manor hotel to be rented for large parties is the idyllic setting for a romantic wedding. Apart from the ten fantastic bedrooms, where the nearest family are to spend the night, there is a very beautiful wedding suite in the manor. Here Alexandra and Martin are to spend their first night as proper man and wife. The suite, with classical style, suits the modern furnishing well, and makes the place an exquisite experience, which not least appeals to Princess Alexandra. She is very interested in interior decoration as she was herself in charge of the furnishing of the many rooms when Schackenborg Inn went through a major renovation some years ago. Even though the 120 wedding guests already had a pre-warning about the marriage and the party afterwards, the official invitations have not yet been posted [by now they no doubt have]. But it won’t be long. There is after all only sixteen days [now 3 days] to the wedding, which will be Alexandra’s final goodbye to the DRF. From then on she is on her own and the security protection she has had since her arrival in Denmark in 1995 from PET (Politiets Efterretnings Tjeneste), will be withdrawn. The wedding will thus be the last occasion for the security details to look after Alex. It is expected that her wedding to Martin will gather quite a crowd, so PET has decided to show up to ensure that everything will go quietly and smoothly. 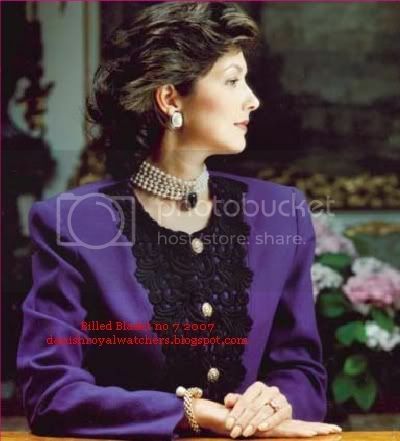 After her marriage Alexandra Countess of Frederiksborg will discontinue eight out of the 24 patronages she has had up to now. It was inevitable that some patronages would alter their arrangements, but Alexandra keeps 16 patronages which will ensure we will still see her out and about. Also, see Lotte Haldrup's Alexandra website for everything Alexandra.